Kauffmann grew up surrounded by all kinds of stories, from video games to comic books to movies he probably wasn’t supposed to watch, but all of them instilled in him the imagination to tell weird and genre-bending tales. 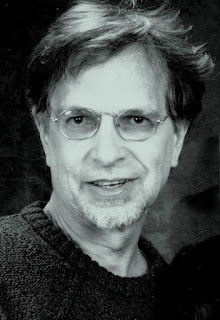 Drawing from mythological sources, Kauffmann’s career as an author started with the Icarus Trilogy, a sci-fi series about gladiatorial combat and revolution, before heading onto the Forsaken Comedy, a dark fantasy series which focuses on the Four Horsemen and their attempt to save humanity. His latest, Ouroboros, is a bit different, but still promises the emotional grip of the other books. 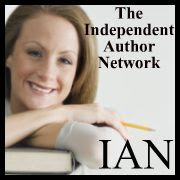 Independent Author Network. Please tell us about your new book. 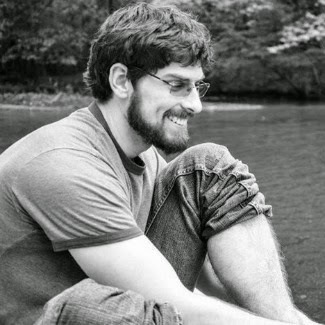 Kevin Kauffmann. Ouroboros is definitely a different kind of book than I’m used to writing, but I think it will have a much broader appeal. It’s general fiction, which is a big departure from my sci-fi/fantasy roots, but I was still able to play around with imagery and nightmares because of the content. 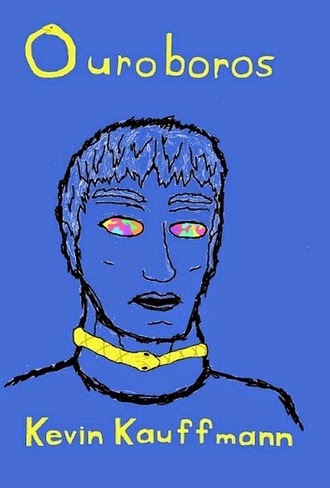 The book follows three main characters who are affected by Escape, which is a new hallucinogen which allows the user to see exactly what they want. Jeremy, my high school outcast, uses the drug to see brand new worlds because he hates the real one. Lynn is a hypocritical congresswoman who is using a child’s death in order to further her career. My favorite, Marc, is the creator of Escape, but he becomes addicted to the drug in order to see his dead girlfriend. Really, the book is all about self-destruction and escapism, and it’s probably the most personal book I’ve ever written. To say that I relate to these characters is a huge understatement, and there are bits and pieces of my life all over this book. I was never in such dire straits as my characters, but I know how it feels to want to run away from the world. IAN. Is Ouroboros published in print, e-book, or both? K.K. Just e-book for now. I’ve fallen into a habit of holding off on the print versions in case there are some glaring problems that reviewers notice. Luckily, that’s become less of an issue, but my first series suffered for it. IAN. Where can we go to buy Ouroboros? IAN. What Inspired you to write Ouroboros? K.K. Quite a bit. There’s a lot of personal flavor all over the book, both Jeremy and Marc represent me at different times of my life, but the book is also very much a product of the times. I use a hallucinogen to firmly represent escapism in this book, but escapism can be anything as simple as playing games or reading books or just doing anything not to experience the real, present world. The way our society has gone for the last decade, more and more people seem to be retreating from the world, retreating into their phones and hiding away from real interaction. I wanted to explore the feelings that come with that, the loneliness and alienation, the feeling that you’re all alone even if you’re surrounded by people, or how the world doesn’t care what you want or how you feel. These characters don’t feel like they belong in their own life, which is its own special kind of tragedy. IAN. Did you use an outline or did you just wing the first draft? K.K. A little bit of both, honestly. I’ve always fancied myself both an architect and a gardener, as the old comparison goes. I created enough of an outline that the plot was solid and progressed how I wanted it to, but other than that I just let the characters and visuals lead themselves. The first book I wrote was shaky with that approach, but after seven books it seems like that’s how I work best. IAN. How long did it take to write Ouroboros? K.K. Two weeks, which sounds absurd, I know. Spent plenty of time on the shelf, however. The only reason I wrote it that fast was that I was trying to submit a book to Amazon’s Breakthrough Novel Award contest and they had changed the rules enough that I couldn’t submit the book I had already prepared for it. It was too bad I submitted it to the wrong genre. Didn’t even get past the pitch stage because of it. K.K. I like to jump around a lot, that’s for sure. Both between character perspectives and with my transitions between scenes and chapters. I’ve always likened it to quick cuts in movies, and most of my readers seem to agree. I get told quite often that my books are perfect for movie adaptations, and that’s because I try not to linger too much on any particular scene unless it’s instrumental to the plot. Also, it doesn’t come up very often in Ouroboros, but I’m known for intense action and battle scenes, and that will become increasingly more apparent the further I go in my career. K.K. The title already existed, but it was such an obvious moment once I figured out that it was supposed to be Ouroboros. In Greek mythology, Ouroboros is the snake that devours its own tail, which is something that happens in Norse and other mythologies as well. It’s a symbol of both infinity and self-destruction/consumption to me, and it ties in perfectly with the themes and content of my book. If it’s not clear, that’s supposed to be a snake squeezing the guy’s neck on my cover, which I admit looks very amateur, but that’s intentional, I swear. IAN. What do you hope your readers come away with after reading Ouroboros? K.K. Honestly, this book is all about perspective to me. All of my characters are flawed and focus on either their past, their fears and pain, their loneliness, or something trivial like their career. They’ve all lost sight of what’s really important in their life, what makes their life worth anything. There are plenty of moral lessons and structures in my other books, but when it comes to Ouroboros, I really just want readers to think about what’s actually important to them. In a way, our biggest obstacle to enjoying our life and getting the most of it is our own perspective and desires. So, I guess, just get out there and do something. Anything. IAN. How much of Ouroboros is realistic? K.K. Certainly not the drug itself. That thing can’t exist. I did what I could to justify it within the context of the story, even researched plenty of hallucinogens to make it sound alright, but Escape is definitely fictional. As far as the characters, however, they’re all about as true-to-life as I could make them. I’ve felt what Jeremy felt, been through a lot of his situations; I’ve wanted the same things as Marc, to just not exist for a while. I’ve felt external pressures to change and compromise myself just like Lynn. Her job might not be so realistic, I went for a House of Cards style with her storyline, but how she feels was real to me. And as an author, that’s my main focus. IAN. How is Ouroboros different from others in your genre? K.K. Well, technically it’s just regular fiction, nothing incredible or otherworldly happens, but there are sci-fi, fantasy and horror aspects throughout the book because of the hallucinogen theme. However, the existence of Escape and what it does is also technically sci-fi, so Ouroboros exists as part of and doesn’t belong to either genre, really. Sci-fi fans might like it more, but I could see fictions readers enjoying the real aspects as well. However, I’m used to that. None of my books have ever really fit into one genre. K.K. I did this time, and it shows. However, this cover is exactly how I had seen it in my head. Because of the tragic content and malaise of the characters, I wanted to call back to Picasso’s blue period, and the shaky and thick lines are likewise supposed to be a reference to a series of self-portraits drawn under the influence of LSD. Also, since this book was so personal for me, it just felt appropriate to be entirely responsible for the book, including the cover. So yeah, that’s my excuse for it looking so amateur. IAN. What was the hardest part of writing Ouroboros? K.K. Feeling everything that happens to my characters. I’m used to it by now, but I’m a bit of a “method writer.” I stop existing while I write and my characters fully take over. Every time one of my characters die in my other books, it hits home and I’m a trainwreck, but it’s expected in those series. Ouroboros, however, is all about these characters destroying themselves and coming to these tragic moments, and I felt every little bit of it. Readers might be driven to tears when they read my books, but I promise, I get hit harder every time. K.K. Not as much as I’d like to, but that’s just because I can’t afford it. If I could justify a book tour, I would, but most of my traveling happens when I go to comic-book and geek conventions along the East Coast. Lately I’ve been dressing up as the Merchant from Resident Evil 4 to lure people into talking to me, and then I’ll launch into a character-driven spiel ending with a promotion for the book I’m currently trying to push, usually for free. Engenders good will, certainly, but there hasn’t been too much turnaround on the word-of-mouth yet. K.K. I’m certainly trying. After seven books, it’s disheartening to still be relatively unknown, but I know that has nothing to do with the books. Nine times out of ten, people tell me that they love my books and how they inspired them. That’s enough for me to still keep going and believing that I’ll make it, but luckily, I’m going to write my books either way. It’s not even a question. Hopefully it will all pay off. IAN. Tell us about your next book or a work in progress. Is it a sequel or stand-alone? K.K. I’m actually working on two projects right now. Until I started my newest book, The 616 Diaries, I had been releasing a short story every Sunday for my Misadventures of Rumplestiltskin III, which is my goofy side-project about an immortal, insane imp who meets gods, demons, heroes, villains and everything in between. I’ll eventually collect them all into a book, but If you want to check out some of the stories, they’re all on my Facebook page for now: https://www.facebook.com/TheIcarusTrilogy/notes. As for The 616 Diaries, I’m not sure I’ll ever sell it because of the style, which is first-person and starts off as a blog. I’m starting to enjoy it more because I’m finally in the meat of the story, which is all about a man devolving into madness because the number 616 shows up everywhere in his life, but it definitely needs some polishing. Technically they’re both standalone, but, well, I need to write more books before I can talk more about that. ONLY 99 cents DURING DECEMBER! 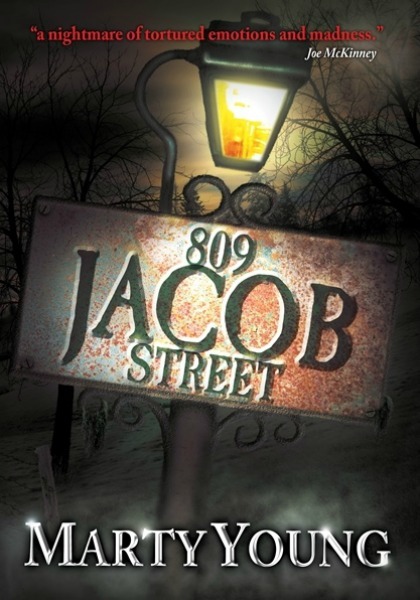 Winner of the 2013 Australian Shadows Award for Best Horror Novel, and nominated a Notable Indie Book of 2013, 809 Jacob Street is a roller coaster ride into terror and madness. Fourteen year old Byron James wishes he'd never been dragged to Parkton. It's a crazy sideshow of a town in the middle of god-damn nowhere, and he's stranded there. To make matters worse, his two new friends - his only friends - turn out to be class rejects with an unhealthy interest in monsters. They want to discover the truth to the infamous monster house at number 809 Jacob Street. Joey Blue is an old bluesman who fell into his songs and couldn't find his way out again. Now he's a Gutterbreed, one of the slinking shifting shadows haunting the town's alleys. 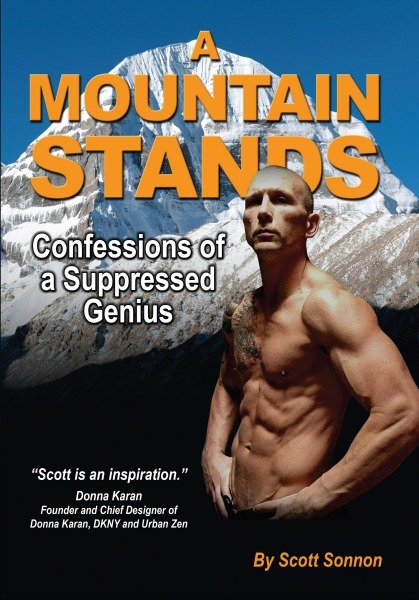 When an old dead friend comes begging for help, Joey's world is torn apart. He is forced to stare down the man he has become in order to rescue the man he once was - and there is only one place he can do that. The house on Jacob Street calls to them all, but what will they find when they open its door? JJ Slate is a bestselling true crime author and blogger. Born in Massachusetts, she has always been fascinated with true crime stories, especially those dealing with missing persons and cold cases. A self-proclaimed “trial junkie” and “forensic science nerd,” JJ currently lives in New England with her husband. When she isn’t writing or researching her next book, she is usually blogging about current cases in the media. 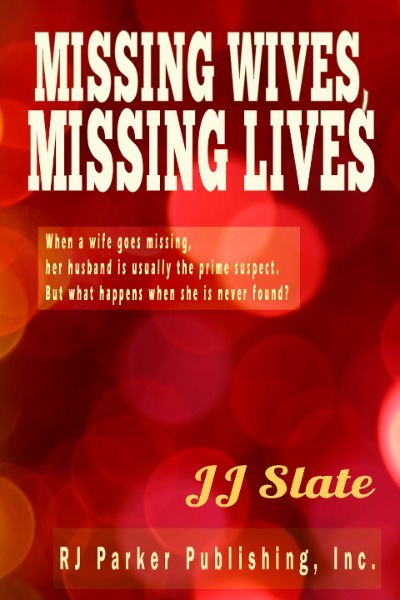 JJ Slate: My debut true crime book, Missing Wives, Missing Lives, a compilation of true cases about wives that have gone missing, published in June of 2014 and quickly became an Amazon bestseller in several categories. I teamed up with award-winning and bestselling true crime author RJ Parker to write my second book, Social Media Monsters: Internet Killers, a collection of chilling stories about killers who have used the internet to locate, lure, stalk, or exploit their victims. JJ Slate: Both of my books are published in paperback, eBook, and Audiobook! JJ Slate: I have long been consumed with the cases that make up Missing Wives, Missing Lives. It is unfathomable to me how cases like this even come to be in the first place. But I think the saddest part of these types of stories (where a wife goes missing and the husband is the prime suspect in her disappearance) is how quickly they fade from the media when the leads begin to go cold. Writing this book was just my way of hoping to keep these women’s stories alive. JJ Slate: It took me a few months to write Missing Wives. I was already incredibly familiar with most of the cases, so I had the meat of the book in my head already. I just needed to get it out onto paper. JJ Slate: I hope people come away with the understanding that this sort of thing happens more than they realize and perhaps might see some warning signs in some of these women’s stories that will give them the courage to escape a similar relationship or help a friend who is facing similar circumstances. JJ Slate: I would love to write full-time one day. That’s my dream! I’m not there yet, but I know I’ve made some great strides in this past year and I’m excited for what is coming next. JJ Slate: I’ve been reading and writing for as long as I can remember. I always had my nose in a book or a journal growing up, and not much has changed since. JJ Slate: I think that if you really want to write for a living someday, you should just keep writing whenever you can and make that dream happen. I’m not there yet, but this is what I am pushing for and hopefully we’ll get there some day! JJ Slate: I really would love to thank each and every person who has purchased my book and reached out to me to tell me how much they enjoyed it. Those words have encouraged me to keep writing and following my dream. JJ Slate: I am currently working on my next book, due out early 2015, a compilation of cases on newlywed killers—spouses that have killed their partners shortly after taking their wedding vows.